Trying to get your feet flip-flop ready? Or have a house full of boys that tend to get dirty? 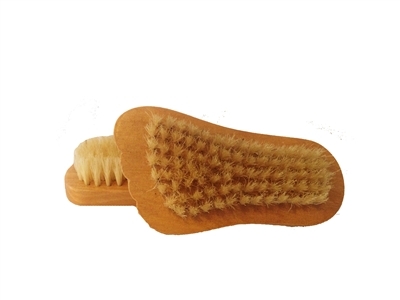 Either way, you can use our foot shaped nail brush for an at home pedicure and polish those feet right up. Going for more? Pair it up with our peppermint foot cream and moisturizing socks for the perfect foot basket!